Here is an interview I enjoyed doing with David Siteman Garland all about how to create a successful webinar. I hope you enjoy it. Let me know what you think. Get started right away. Watch the video and GO! 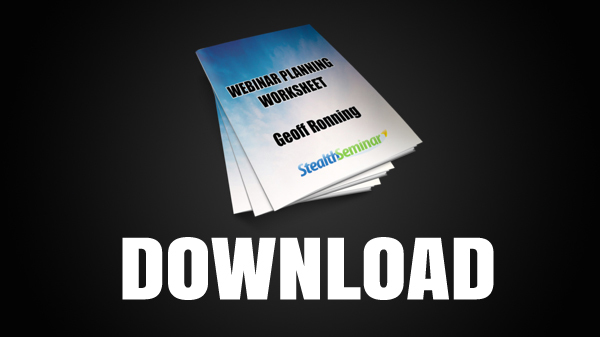 If you like, download the Webinar Planning Worksheet below.